This is a perfect birthday cake for your little fairy and share the joys of celebrating her birthdays, with creative and delicious special character cakes from our very own Kapruka bakery made with extra care and attention to all fine details to bring out the best for you. Kapruka cakes are fresh and baked exclusively for you daily using the right blend of fine and premium ingredients. 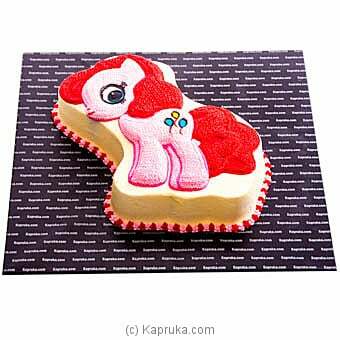 The exceptional creativity, the presentation and the careful packing along with the best affordable prices of Kapruka cakes are available to you with value for money and standards beyond imagination.